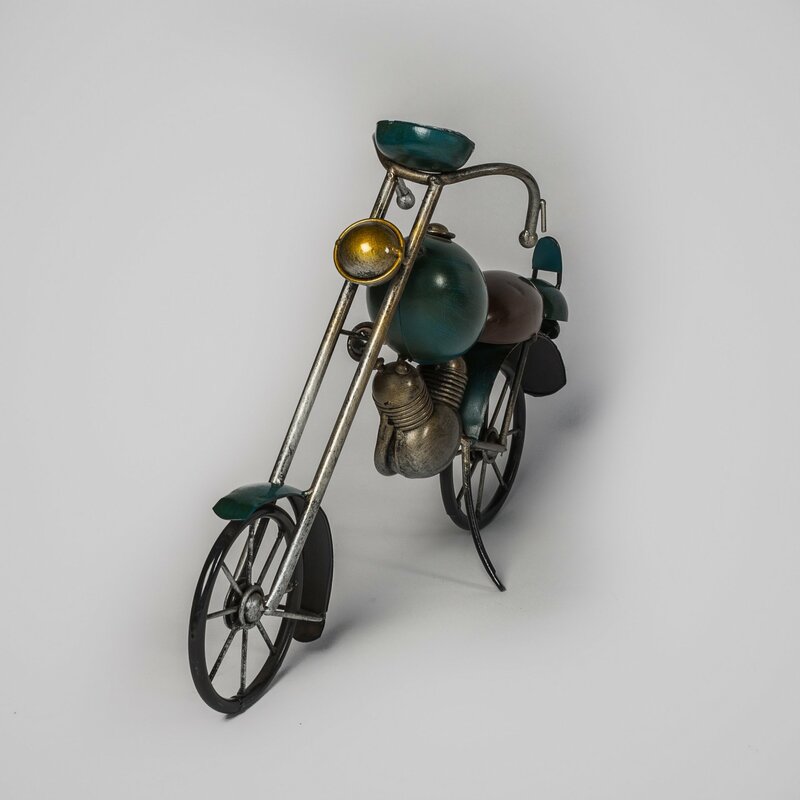 This unique metal motorcycle sculpture will transform the look of a room as quickly as a motorbike speeding down the highway whizzes past you when you're on the road! Inspired by the silhouettes of vintage bikes, the statue is a unique gift idea for men for any occasion. The Small Dirt Bike stands 28cm tall and features a dark green body, brown seat, yellow headlight and a little bike stand in place to hold the bike up. A great garden gift!